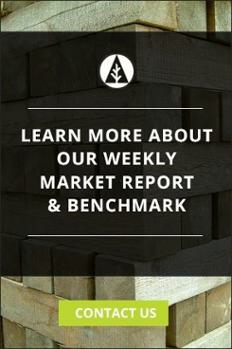 Unable to delay buying any longer and deterred by continued high 2x4 prices out of North America’s western region, WSPF (Western Spruce Pine Fir) softwood lumber customers recently shifted their orders to the 2x8 sizes for new order fulfilment. Delivery and backorder issues continue be a problem for a number of these consumers. Circumstances on the ground have ranged wildly across North America, with weather conditions being by far the biggest factor. In the east, more fierce storms have impeded transportation on the rails and highways. In the west, warmer weather has started the snow melt, which will bring with it the usual spring road ban on big trucks and a powerful freshet on the mighty Fraser River. Operators have been anxious to actually receive lumber that was ordered many weeks ago. For their part, sawmills have been doing their best to work through the backorders to get new lumber out the door. In the west, forest operators have been eying the skies as fast-approaching spring weather means they better get as many logs into their yard as they can in quick fashion. Alabama’s Rex Lumber Company new sawmill project in Pike County, AL will total more than US$110 million, including startup and working capital. The facility is expected to produce around 240 million board feet of lumber annually, and will create more than 110 new jobs. Tolko Industries, out of Vernon, British Columbia, recently announced that it has partnered with Louisiana-based Hunt Forest Products to build a state-of-the-art sawmill near Urania, LA. The LaSalle Lumber Company, the joint-venture company formed between Tolko and Hunt, is named after LaSalle Parish, the county in Louisiana where the mill will be built, which is in the heart of Louisiana timber country. The US$115 million sawmill will eventually create more than 100 direct, permanent jobs. 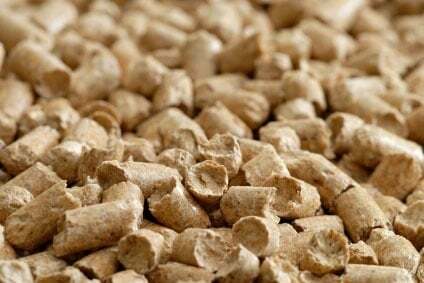 LaSalle Lumber will be situated on the 125-acre site of a previous mill, and adjacent to one of Drax Biomass’ wood pellet plants. Byproducts of LaSalle Lumber will supply the Drax plant, while the lumber produced at the mill will be sold to other companies and customers. Construction is set to begin in April with a scheduled opening in January 2019. Hunt company representatives said the mill will require about 850,000 tons of local wood annually to produce approximately 200 million board feet of lumber each year. Miller Manufacturing, a Washington State-based manufacturer of high-speed lumber planers and equipment, announced plans to move into a new, larger facility to keep up with demand, as more sawmills are built or undergo updates and expansions. Miller will more than double its manufacturing space with the move—going from 4,800 square feet to 10,000—and the company will also double its staff.